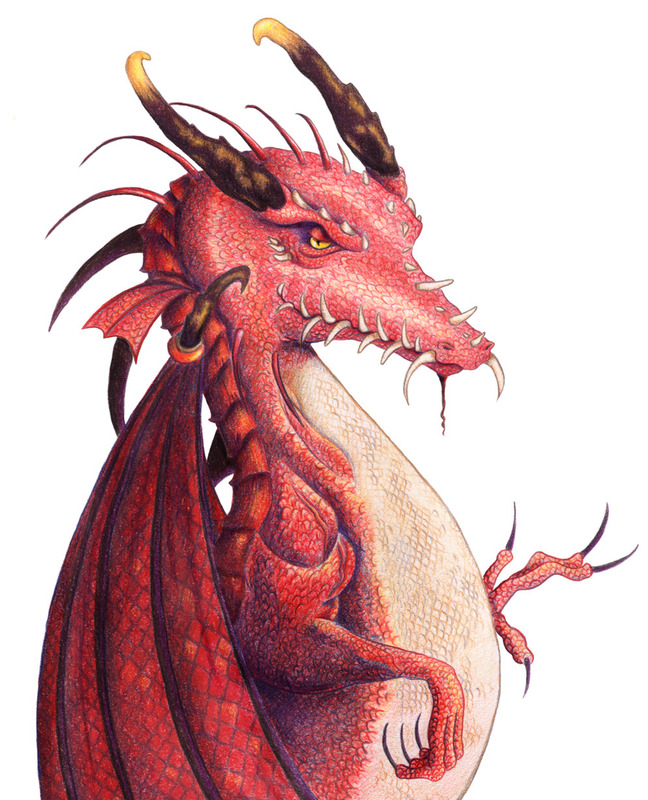 An enormous, fierce-looking red dragon with horns like elephant tusks, great spines protruding from his tail, and teeth that stick out at odd angles like a crocodile. Black magic, persuasion. Extremely cunning. I will not be undone!